Towering over the colonial city of Potosi, Cerro Rico is Bolivia‘s most historically significant national monument. Once the biggest silver mine in the world, its riches bankrolled the entire Spanish new world empire – such wealth, however, came at a horrifying cost, with millions losing their lives to the ‘mountain that eats men’. The potential of Cerro Rico (in English, ‘Rich Mountain’) was first discovered by the Incas as they marched into the region from modern day Peru. The Incas forced the native inhabitants to mine the mountain as slaves, although the scale of the industry was relatively small at that time. It wasn’t until the Spanish arrived in the 16th century that exhaustive exploitation of the mountain took place. Both the Incas and the natives were forced to work in brutal conditions, and many died from overexertion. To compensate for the diminishing number of workers, the Spanish imported slaves from Africa by the boatload. Some 30,000 were forcibly shipped over to the continent, many of whom perished under the mountain due to the treacherous conditions involved. Those who did survive later migrated to warmer parts of Bolivia to form the current Afro-Boliviano community. The story of their plight continues to be told today through the country’s traditional folkloric music and dance. During colonial times, an unfathomable eight million slaves were estimated to have died in the mines of Cerro Rico – a nauseating statistic that justifies its moniker as the ‘mountain that eats men’. Working conditions have improved a little since the Spanish were in charge, though they remain far from ideal. Despite the mountain being largely depleted of silver, some 15,000 miners enter every day in search of precious minerals. The money that comes out of modern day Cerro Rico is modest, but is an absolute necessity for an impoverished region with few other sources of income. The dangers workers face are difficult to overestimate. Some 14 miners die each month as a direct result of their work, while even those who have long retired eventually succumb to lung disease. Working long hours without adequate protection, they breath in toxic dust particles which provoke deadly scoliosis. The average life expectancy of a career miner in Potosi is just 40. Then there is the very real risk of tunnel collapse. After over 400 years of constant exploitation, the structure of Cerro Rico is extremely fragile and entire sections are prone to collapse. 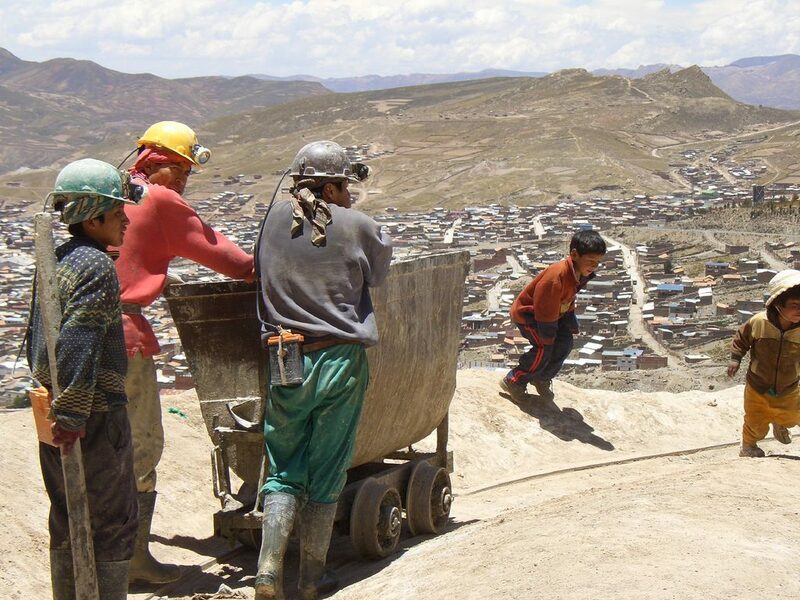 In 2011, a massive sink hole formed at the top of the mountain which created a huge risk to those working below. Unable to afford the loss of income, the miners continued chipping away for silver despite the danger. Thankfully, in 2014 the Bolivian government filled the sinkhole in after a complex project which took many years to complete. However, many experts predict the mountain is due to collapse completely, a catastrophic event that would cause huge loss of life. Given the inherent dangers involved, the miners pray daily in the hopes of receiving divine protection. But rather than reach out to a Christian idol, they pay homage to the devil El Tio, who has various horned effigies scattered throughout the mines. 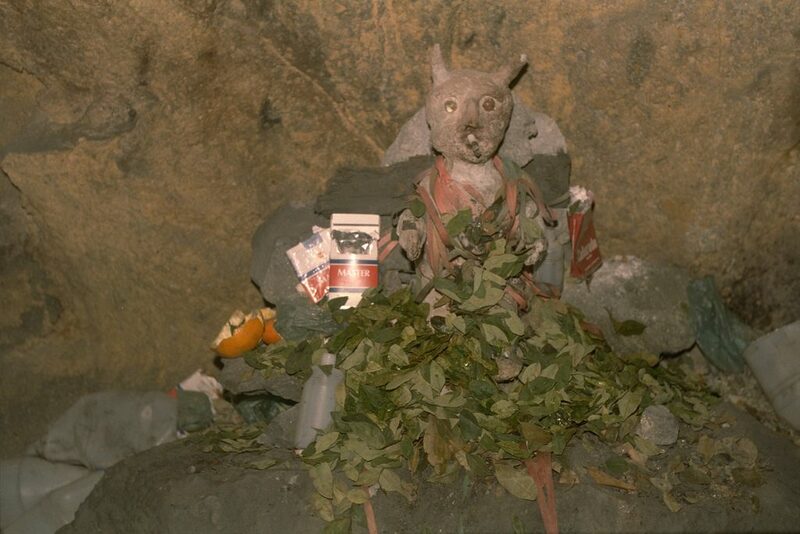 In exchange for offerings of coca leaves, pure alcohol and cigarettes, El Tio is believed to grant protection from the inherent dangers of his underground domain. Heartbreaking to many visitors is the sight of children working in these conditions. Some as young as eight are condemned to a life of unthinkably hard labor in order to survive. 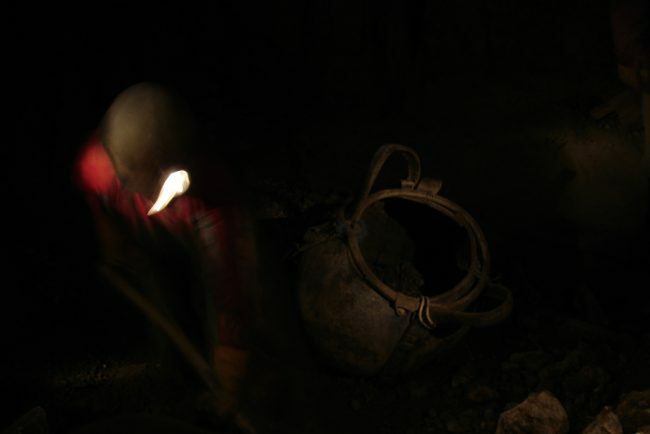 An estimated 150 children work full-time inside the mines, while hundreds more guard machinery and sift through ore in the open air just outside. As objectionable as this sounds, it’s the only way for their families to survive. Almost all live with their divorced or widowed mothers in clandestine shacks with no running water, only able to avoid starvation by working deep underground. Many of the children opt to start work at 2am so they can finish in time to attend school in the morning. 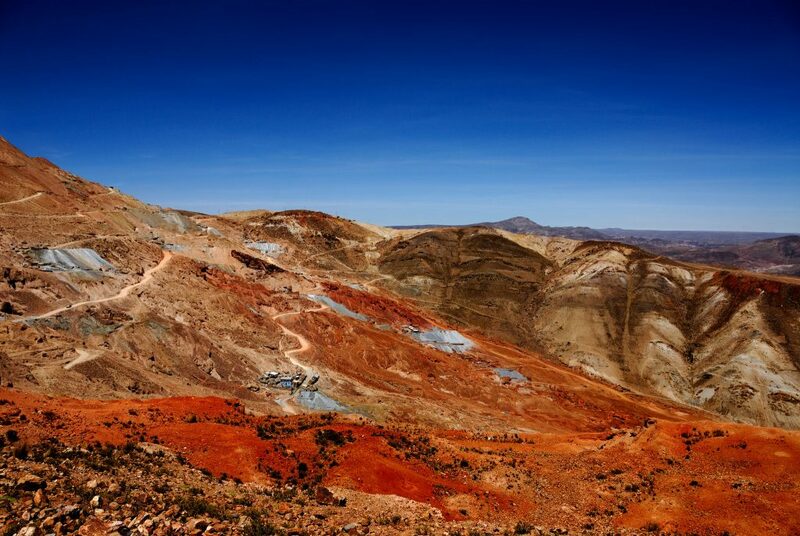 The Cerro Rico mines can be visited on a three hour tour from Potosi. Although undeniably confronting and claustrophobic, a visit here provides real insight into the hardship these people face – putting, if ever, complaints about your desk job at home back into human perspective.